If you’re a sucker for a triple white dad sneaker, then the upcoming adidas LXCON Triple White will probably be finding itself in your rotation very soon. Inspired by a silhouette from the mid 90’s, we can see how these are coming back over 20 years later. As retro styling makes a huge comeback into the fashion world, this silhouette is ticking all of the boxes. A deconstructed style takes over the upper, where mesh and textile panels join to create a uniquely designed sneaker. 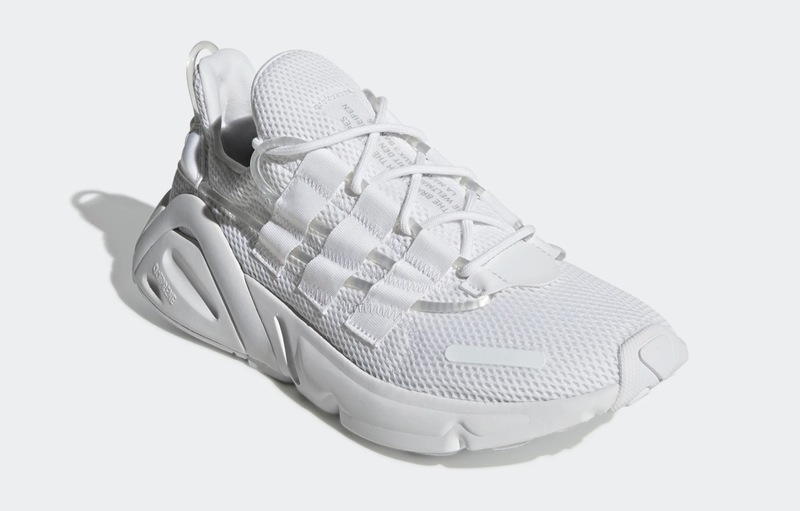 White, breathable knit composes the upper, with see through rubber piping travelling around the sidewalls and lace unit. On top of this, 3-Stripe branding comes in a different style, disjointed from the midsole and coming from the lace unit, with horizontal stitching detailing holding the piping in place. 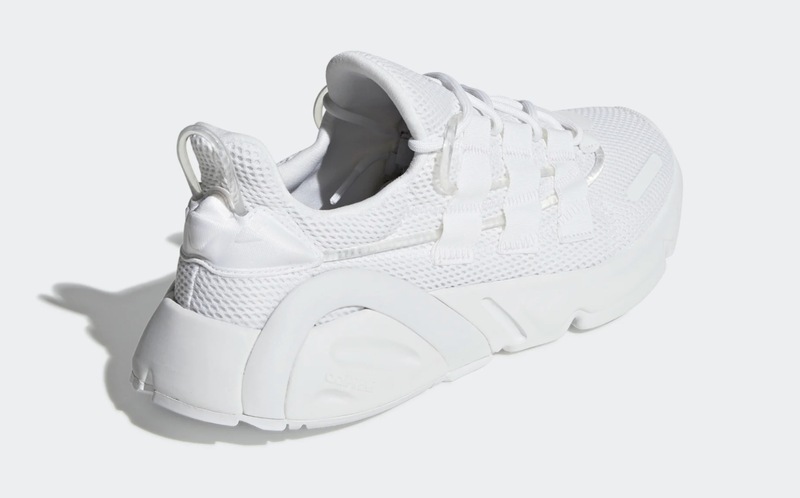 The lace unit comes in a bungee style, reminiscent of elastic and turning this sneaker into even more of a futuristic look. 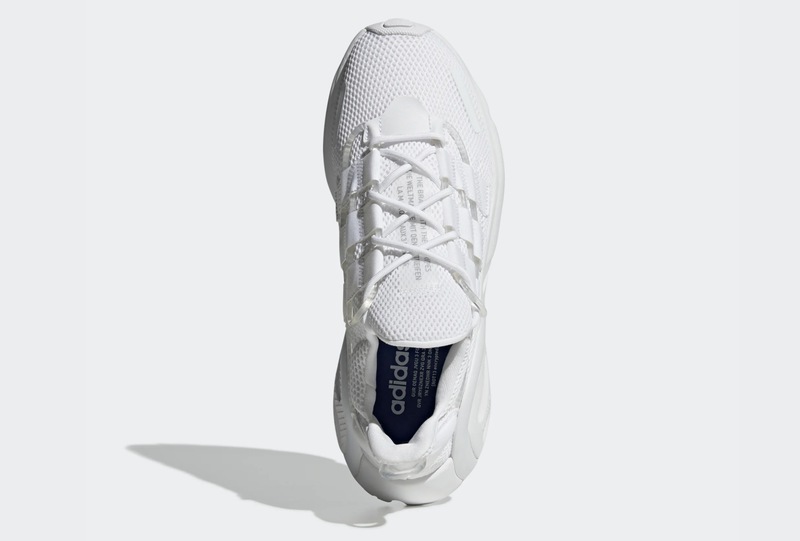 “The Brand With Three Stripes” is also printed onto a vertical tag on the tongue in three different languages, labelling this adidas sneaker as its own. 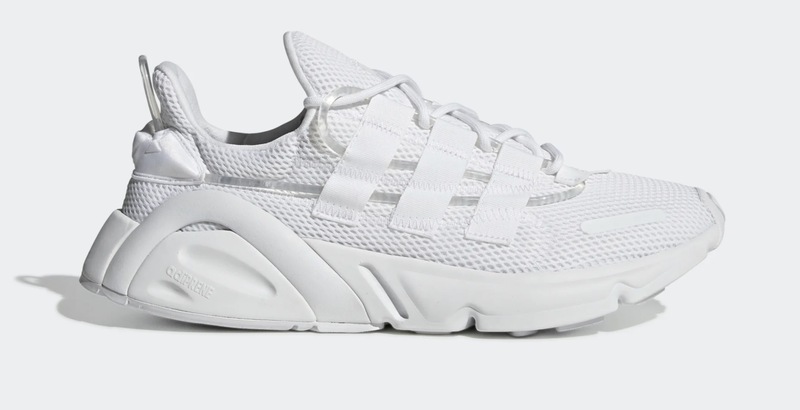 Down below, a chunky white midsole shows off adiPRENE technology branding to the heel, as well as a half moon shape coming up and layering over the upper, exaggerating the midsole even further. The adidas LXCON Triple White will be available from the 22nd March at 11pm, be sure to hit the bell at the top of this page to get notified about this release as well as an email notification as soon as they go live!